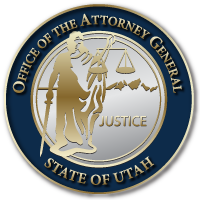 SALT LAKE CITY September 22, 2017 – Attorney General Sean Reyes today released a letter he signed with 43 other attorneys general expressing concerns and requesting compliance from Equifax that will provide greater transparency and protect consumers. Disable links to the Equifax fee-based credit monitoring services until the sign-up period for free credit monitoring services has ended. Extend the sign-up period for free credit monitoring services to at least January 31, 2018. Take steps to reimburse consumers who incur fees to completely freeze their credit by enrolling in security freeze services from Equifax, Experian and TransUnion. Make the Equifax call center number more prominently visible on Equifax websites and ensure the hotline is adequately staffed 24 hours a day to create shorter wait times. Notify the attorneys general about communications made to impacted consumers regarding their affected information and privacy. “This may be the largest and most damaging breach in our nation’s history; one that has affected 143 million U.S residents. Utah residents need all the information and tools available to help them mitigate the damage. To do this, Equifax must be transparent and accountable. At this point in the crisis, they need to offer clear and concise steps so consumers can protect their information. We believe Equifax should not be profiting from their breach by continuing to offer a fee-based credit monitoring product, neither should they be charging consumers to freeze their credit. I stand with an overwhelming majority of our sister states in calling for greater responsiveness and transparency from Equifax. Consumers need a clear path to protect data that may have been compromised by the breach. The multi-state investigation began immediately upon Equifax formally announcing the data breach. From the outset, the Utah Attorney General’s Office has been working alongside other states to discern the best course of action to protect residents. That includes assisting current victims and preventing future incidents of information loss.